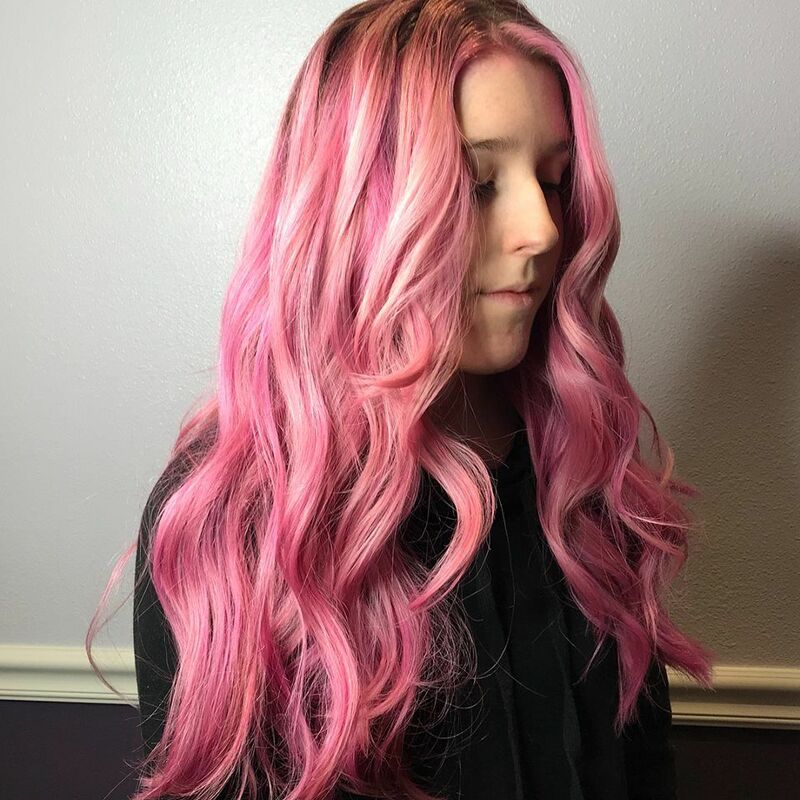 Pink tones make this custom created color truly unique. Makes 'em stop to stare! Skin tone, eye color, and natural hair color are considered when formulating the perfect individualized pink tones for each client.